It’s been about a year now since we’ve started seeing streetwear inspired shoes showing up on tour players, in the golf shops, and on the course. At first – I was intrigued – but also pretty skeptical. I loved the look and styling, but had some concerns around the ability of the shoes to function well on the golf course. 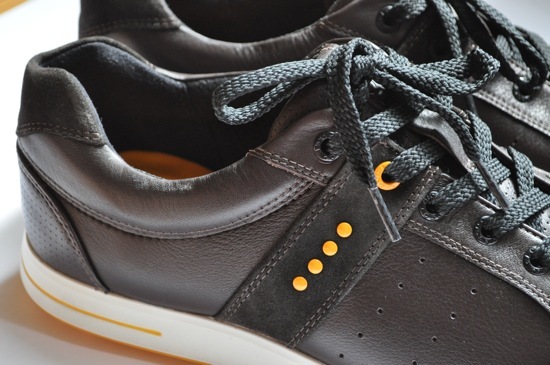 The first of these shoes that I noticed was the ECCO Street Premiere. Like many others, I first noticed these shoes during the 2010 Masters being worn by Fred Couples. I remember the excitement of the possibility of a comfortable, stylish, and high-performance pair of shoes for the course. Well, after spending quite a few rounds in these shoes (and walking most of them) – I’m confident that ECCO has delivered everything that I hoped for in their Street Premiere shoes. 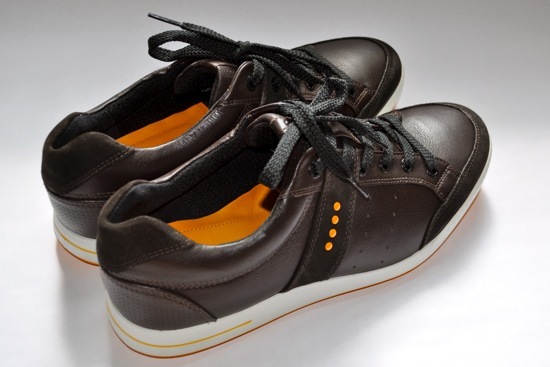 These shoes were first introduced in 2010 and have seen tremendous success since launching. In true ECCO tradition – these shoes are extremely comfortable and well-crafted. Even after walking a few courses that were obviously designed for riding – my feet were always comfortable after 18 holes. The padding in the shoes hits the mark perfectly. They aren’t overly padded and the they still allow for you to feel the contours and the essence of the course while offering enough support to feel firmly grounded. It really is a great experience to “feel” the course under your feet. 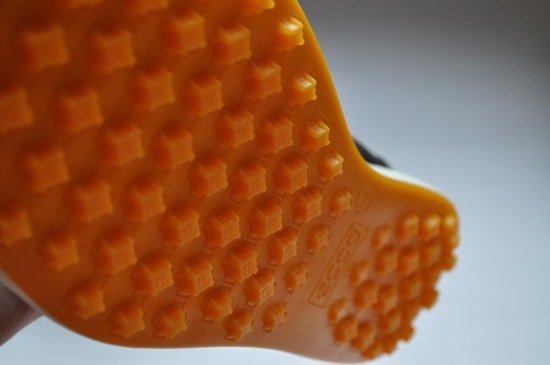 The soles of the Street Premiere’s are made out of something that ECCO calls TPU material. 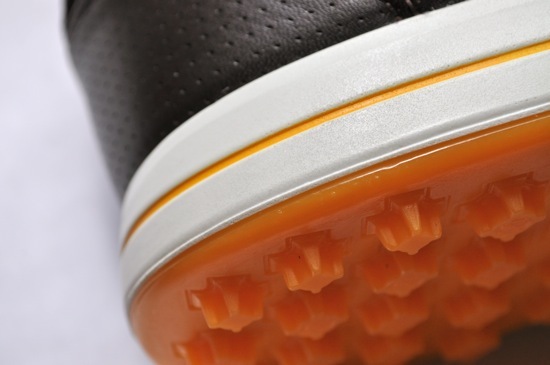 While the TPU outsoles last longer than rubber – the material is also extremely comfortable. The outsoles are significantly more forgiving and softer than rubber and they provide loads of comfort as you move through the course. The pair that I wore for this review were distressed leather with suede wrapping the toe, saddle, and the top of the heel cup. The top of the heel cup is designed to fit snug and results in your heel staying in place throughout the swing and while you’re walking. 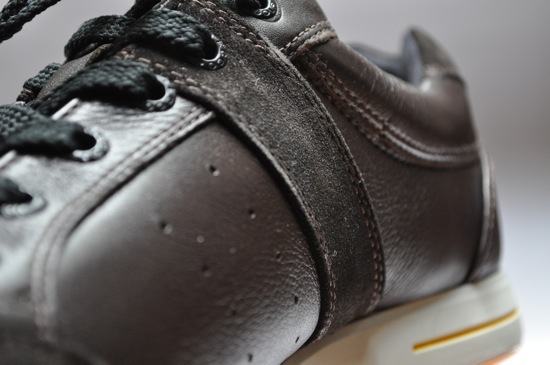 The fit of the shoe is both comfortable and functional and the quality of the leather is noticeably better than any other golf shoe I’ve worn. 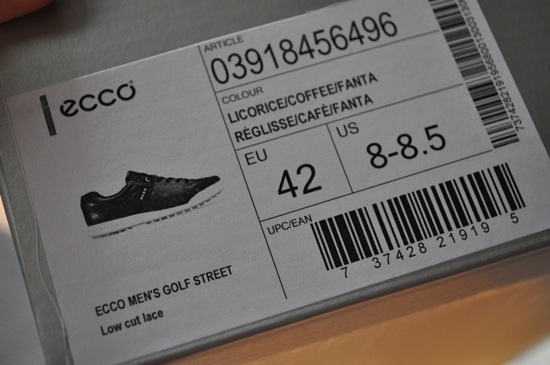 In fact – ECCO has their own tanneries that provide the majority of the leather for their shoes. The lack of spikes on the shoes was an initial stumbling point for me before trying these shoes. If you’re worried about this (like I was) – then stop worrying. The nubs (called Traction Bars) are great and I’ve never had the shoes “slip out” on me in the rounds that I’ve played so far – including in the fog and drizzle-covered TPC Harding Park in San Francisco. Dry and wet conditions are handled gracefully by the Street Premieres. The Traction Bars also perform great in the sand. I’ve also gotten in the habit of wearing my shoes to and from the course as well. The shoes feel similar to normal everyday-wear shoes and being able to avoid the extra hassle of swapping out shoes in the parking lot has been a welcome addition. The Street Premieres are available in a variety of distressed leather color-ways (Licorice/Coffee/Fanta, Concrete/White/Royal, Moonless/Black/Chili Red, Moonless/Marine/Danube) and in one suede / leather color (Sepia/Bison). 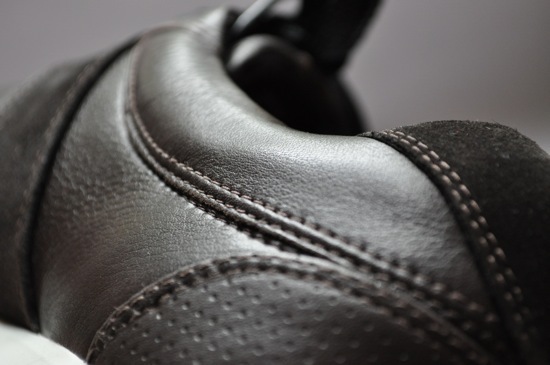 Although the shoes are leather – they aren’t fully waterproof. I walked a full 18 in a constant drizzle and the shoes held up well – although the insoles did start to collect some moisture near the end of my round (although it wasn’t significant). I don’t play in the rain often – so the lack of waterproofing isn’t an issue for me since they seem to hold up well in moderate wet / moist conditions. One thing to be aware of when purchasing a pair of the Street Premieres is to make sure that you get into a shop to try on the different sizes. The shoe sizes are based on European sizing and will list the american sizing on the box. I typically wear a 9 in golf shoes – but ended up wearing a 42 in the ECCOs (equivalent to a size 8 / 8.5). If you’d like to see some more pictures of the ECCO Golf Streets, you can check out the ECCO Street Premiere photo album that we have posted on facebook.